There's no doubting that the Parrot Ar. Drone is a gadget that we have all looked at with keen interest. However, at a cool £300 it's hard to justify purchasing. Now, though, there is a cheaper, albeit not quite as sophisticated, alternative. 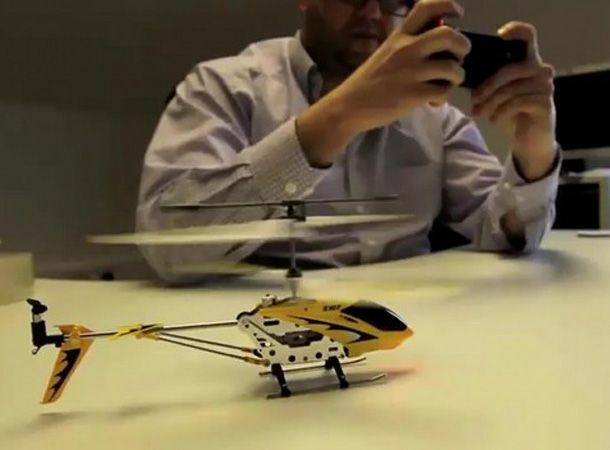 The people at AppToyz have come up with their own attachment that turns your iPhone into a remote control to operate their existing remote control helicopters. The AppToyz Helicopter costs just £50 and works in the same fashion as the Parrot using an attachment that plugs into the earphone jack and controlled using the touch screen of your iPhone or iPod touch. What more, if you prefer your radio-controlled fun to be more carpet-based then there's an RC car on its way too at a very modest £30.